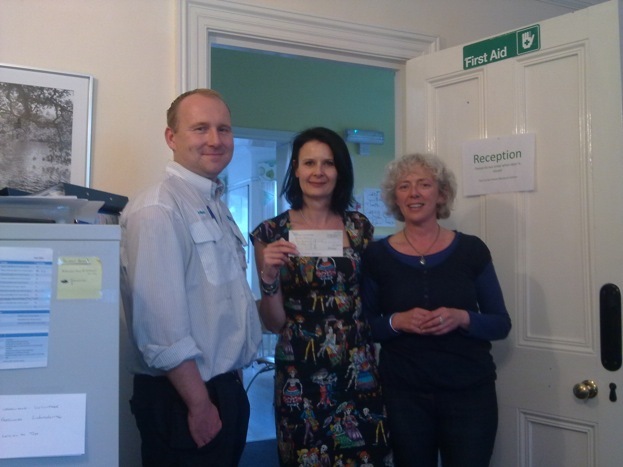 Graham delivers us a cheque for £459 !!! UPDATE: Graham completed the marathon with a time of 5hrs 33mins and has already signed up for next years! “I contacted As You Are to offer to raise funds for the centre in this year’s marathon after my niece Katie approached the service with bereavement issues around the loss of her baby boy. Since then I’ve seen Katie turn her life around and she’d really like me to help out and raise funds for As You Are. I want to raise monies for charities that have helped my family and want to raise funds for others suffering”. Graham is making a great contribution to the centre – we are always looking for ways to raise funds for the much-needed work we provide in the community.